Jana’s design philosophy is that every project should be a collaboration between function and aesthetics. A devotion to beauty should never supersede the role a home or room plays in providing an efficient and functional space, a space that reflects the personality and lifestyle of the people who occupy it. She believes every project should be substantial and meaningful. To this end she is constantly searching for new concepts, products and sources. She is practical in her approach to design as she feels strongly that her clients deserve a look that is not only timeless, but unique to them. Her passion for design is equaled with her passion for working collaboratively with her clientele. I started my company for two simple reasons: I love interiors, and I love helping clients feel the same about theirs! Whatever your reason for not loving where you are at - a lack of time, difficulty seeing the vision/pulling it together, or maybe the process is just "not your thing" - you deserve a space that feels right. 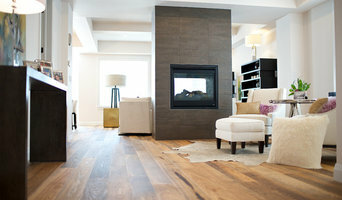 We are an Edmonton-based Interior Design & Renovation company that focuses on refreshing & renovating interior spaces. Whether you are looking for a new take on your existing space, or you are feeling overwhelmed with the plethora of decisions involved in a renovation, we strive to make this process stress- & intimidation-free. A good home design professional will hone your style down to its very essence and be able to choose a functional layout that feels natural to you. Interior design companies can be involved as much or as little as the client desires. Many clients who hire an interior decorator in Sherwood Park, AB — particularly those who are remodeling — have a good sense of how the room should look and what products they should use. Often clients will insist that interior decorators use the products already present in the house. Other times a designer will need to start from scratch — especially if this is a newly purchased or just-built home. An interior design company will need to figure out exactly what the client needs, which includes organizing rooms, picking flooring and wall colors, and finding furniture to complement it all. Sometimes that means he or she will have to recruit help from other Sherwood Park, AB home professionals to help create the perfect look for your renovation. Here are some related professionals and vendors to complement the work of interior designers & decorators: Architects & Building Designers, General Contractors, Home Builders, Design-Build Firms, Photographers. Do your research before meeting with an interior designer or home decorator in Sherwood Park, AB. Ask yourself what you want your space to become and what it will be used for. Figure out the extent of what you need help with, what your must-haves are and what your budget is. Interior design services can add up fast, so be up front with a potential design firm or individual from the beginning. Also, pick an interior decorator that fits your style. 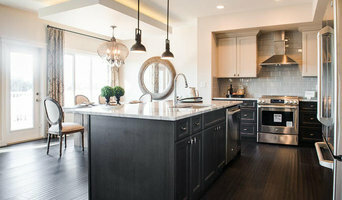 Browse through the portfolios of different Sherwood Park interior design firms and decide if you would live in those houses. Just because you like something doesn’t mean you could live in it. There's a big difference! Find an interior designer or home decorator in Sherwood Park, AB on Houzz. 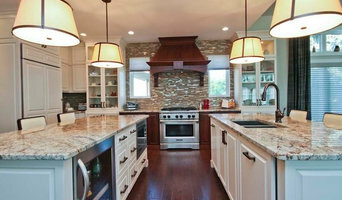 Narrow your search in the Professionals section to find Sherwood Park interior designers near you. 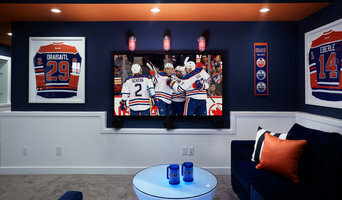 You can also look through Sherwood Park, AB photos to find a room you like, then contact the design firm who designed it.